Takes too long to drill in. 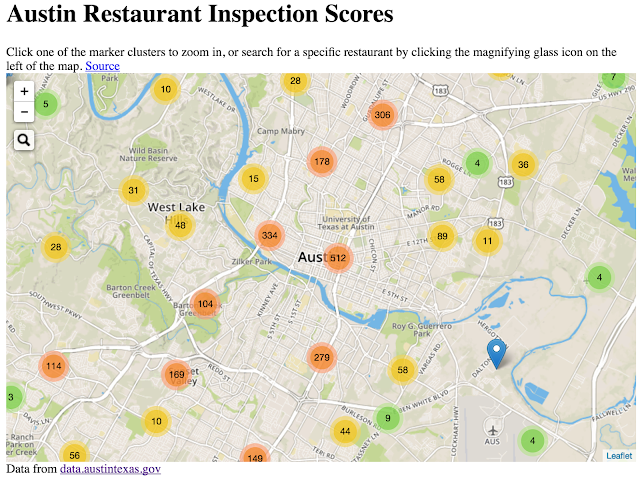 When I played with it, they could easily show more specific restaurants at once and not shown so many groups. 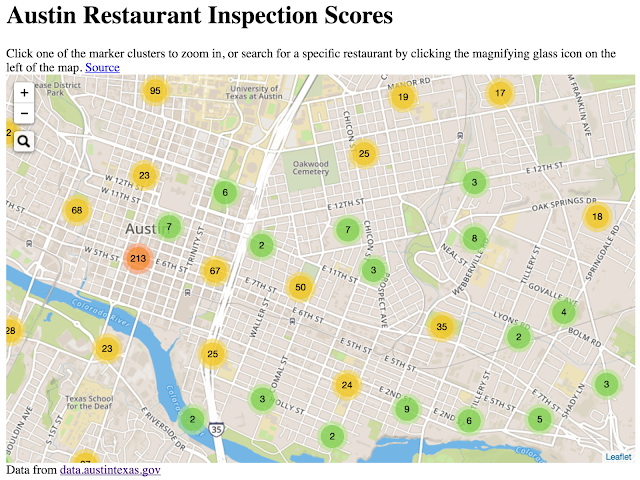 I have no idea how many restaurants are good or bad. Here's my alternative, designed to be used on a phone. I did that because that would be the likely use case for it. 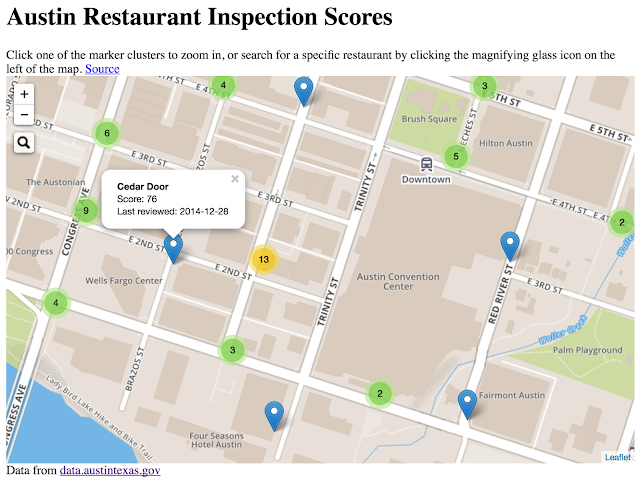 I added a summary of the scores and you can filter down to just those restaurants.